The Pocket Button Down is the perfect piece to take from casual to dressy. This is a classic button down with a front pocket, in the ideal spring linen. 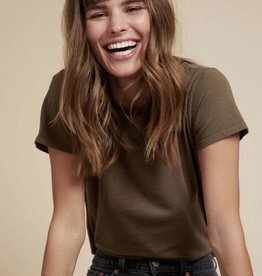 The dressed up version of your favorite laid-back slightly cropped tee with a Recycled Cotton neckband. 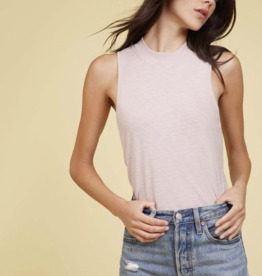 A classic scoop neck tank in luxe sateen. A laid-back fit and Recycled Cotton binding on neck and armholes give a vintage, yet dressed up feeling. The hand applied tie dye makes each one unique. A flattering slim fit tank with a slight mock neck making it just perfect for day or night. Layer it during colder weather or wear it alone once it warms up. 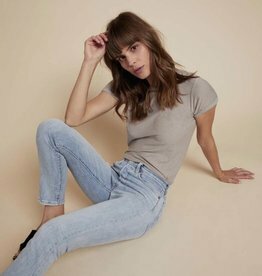 Model is 5'10.5" and is wearing size Small. Cami with a plunge, raw neckline, side seam detail and squared off back. 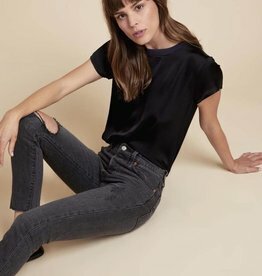 Model is 5'9.5" and is wearing size Small. This slim fit tank has the whole front tuck thing perfected - a pre tucked front will give you the perfect tuck every time. This laid-back slightly cropped silhouette is perfect for all day, every day. Nation’s signature crew neck. A hint of stretch means it hugs the body just right and rolled sleeves add a more sophisticated feel. Slim fit/ Model is 5'10" and is wearing size Small.